I confess... I had a couple of small, scaly patches on my upper arm, so I self-diagnosed it as a ringworm and picked up a topical cream from CVS to treat it. After a couple of weeks using that cream and no results, it hit my brain that maybe it was just dry skin. I used moisturizing lotion, and it was gone a day later. Dummy, party of 1. 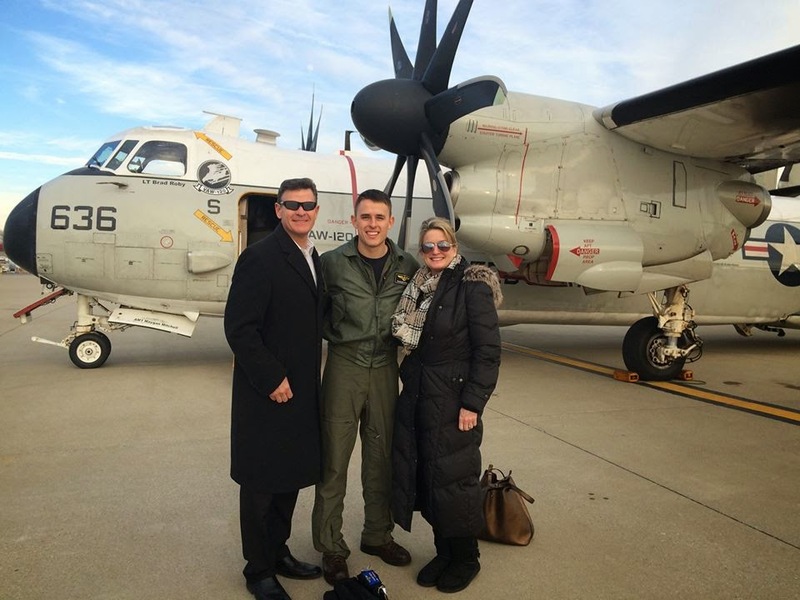 I confess... Parker got to fly the C-2 to Kentucky where his parents live and got to see them for about an hour. They were all on cloud nine! They snapped this picture, and I was just mesmerized by how cool my husband is. I see him in that uniform every day, but I got all giddy and couldn't get over how handsome he looked in front of that plane! I have a crush on my husband. I confess... I started a small kitchen fire a couple of weeks ago and resorted to knowledge acquired from the movie Gone In 60 Seconds to put it out. Nicholas Cage used baking soda, so I used baking soda, and my fire was no more. Science is cool like that. I confess... Realizing that we probably carried Taylor longer than we thought we did and writing about it yesterday made me so giddy and grateful, so much so that I'm mentioning it two days in a row. I can't help it. That little girl was a miracle in every since of the word. I confess... We spring forward this weekend and I. can't. wait. Raise your hand if you're over the snow? Spring forward may mean we lose an hour on Sunday, but it also means Spring and Summer are on their way and getting dark at 6 PM is a thing of the past. Yall have a great weekend! It's Friday, so go right on ahead and do that happy dance. You know you want to. Self- diagnosed ringworm hahaha! Dying! Have a wistful weekend, friend! I am so excited for spring too I can't even wait!!!! While I want 2015 to slow down, I want sunshine!! I have a drier patch of skin on my chest and I was convinced something was horribly wrong until my mom told me it was just dry skin. Lotion fixes so much ;D I am SO ready for some more daylight during the day! Our weather has been oddly wonderful up in Washington -- I am not complaining! I am so excited about the time change, this getting dark at 6pm is for the birds! Parker's parents live in KY? SO cool! What part of KY? If you ever come visit them here, let me now because I'd love to meet up with you!